BEYOND RISK, book 1 in the Florida Wildlife Warriors series releases on January 29th, (hooray) so I thought I’d give you a little behind-the-scenes look at the writing of the story and how I used my day job to help write this series. When I’m not piloting a boat, I’m home in my writing cave, working on my next romantic suspense novel. Setting my new Florida Wildlife Warriors series here in my own backyard was great fun. 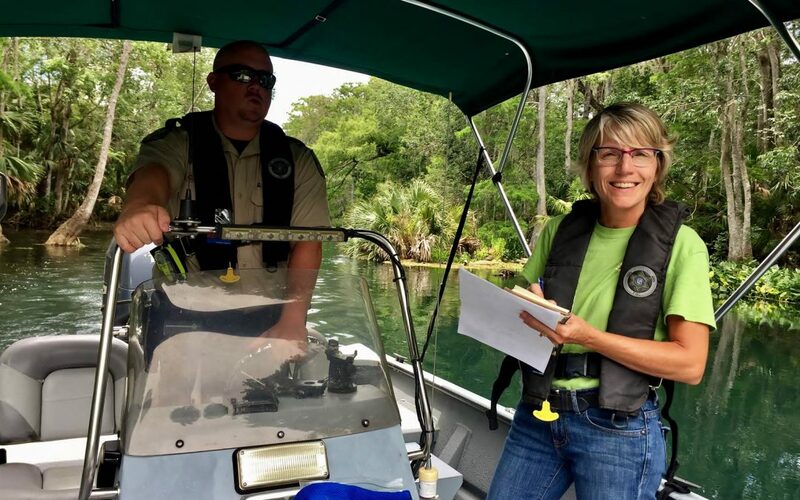 I wanted to write about a different kind of law enforcement officer, so I created a family of FWC (Florida Fish and Wildlife Conservation Commission) Officers. 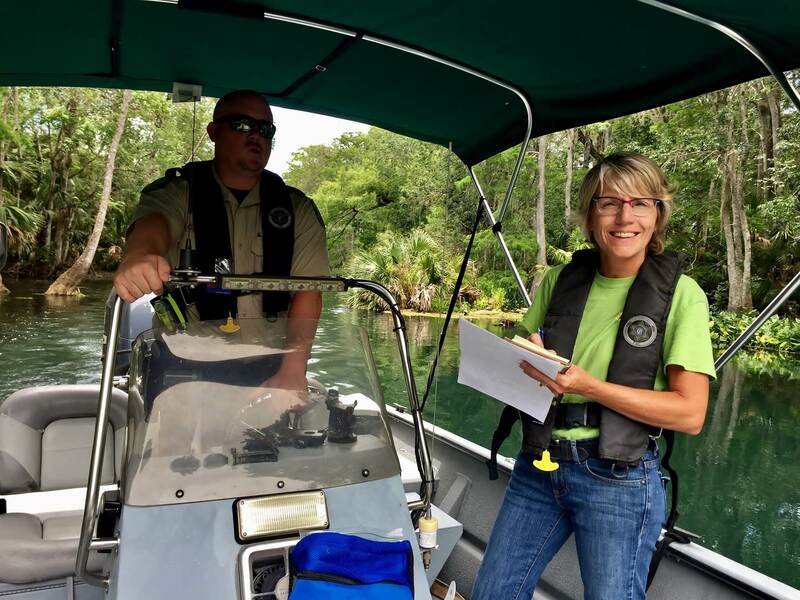 I’ve met quite a few FWC officers through my work and have been impressed with their calm competence, knowledge, and care for people and the environment. Most people don’t realize that they are state law enforcement, meaning their jurisdiction is not limited to a city or county like local police. They patrol by truck, boat and/or ATV, and generally work alone. Folks sometimes call them, “Fish Cops” thinking all they do is check coolers and fishing licenses. But their job description and jurisdiction extends statewide. Here’s a short video I made while on the river, talking about BEYOND RISK. I hope you’ll pick up a copy. I look forward to hearing what you think of Charlee and Hunter’s story. You have the perfect setting for your new series, Connie. I bet the books are intriguing and full of adventure. Congratulations. I love this! From the first moment I heard you were a captain at Silver Springs, I’ve wanted to read a book by you set there. Authenticity, you know! And now I can.